The battle was ON for the @WWENXT #WomensChampionship at #NXTTakeOver: The End... when @WWEAsuka met @NiaJaxWWE! Can @RubyRiottWWE take advantage of this second opportunity at the #RAW #WomensChampionship against @RondaRousey?! 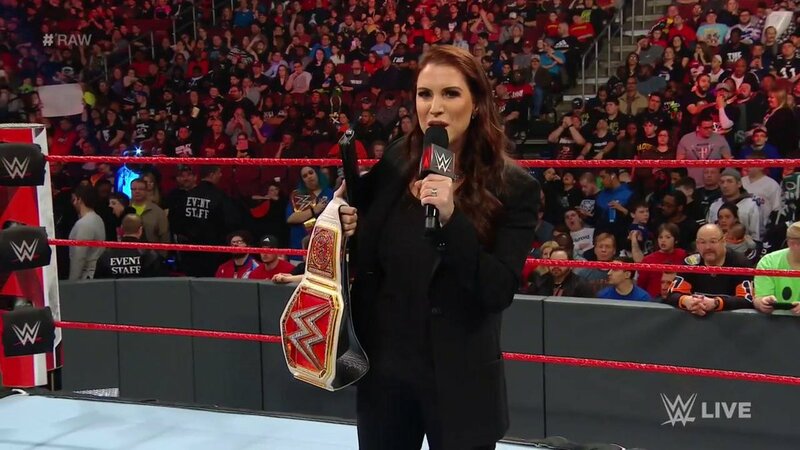 The #WrestleMania main event for the #RAW #WomensChampionship got shaken to its core courtesy of @VinceMcMahon!
. @itsBayleyWWE pushed @RondaRousey to the limit on #RAW with the #WomensChampionship on the line! The #RAW #WomensChampionship was ON the line when @RondaRousey defended her title against @itsBayleyWWE!
. @SashaBanksWWE put everything she had into this #RAW #WomensChampionship Match at #RoyalRumble. After winning the #SDLive #WomensChampionship at #WWETLC, @WWEAsuka said she's #TheMan NOW. @XiaBrooksideWWE looks to make HISTORY and advance in tonight's #NXTUK #WomensChampionship tournament! EXCLUSIVE: The #SDLive #WomensChampionship officially belongs to @BeckyLynchWWE once again! EXCLUSIVE: @BeckyLynchWWE poses with her #SDLive #WomensChampionship after defeating The Queen at #HIAC!
. @RondaRousey defeats @AlexaBliss_WWE to successfully retain her #RAW #WomensChampionship at #HIAC! Can @MsCharlotteWWE join the #SDLive #WomensChampionship match at #SummerSlam by defeating @CarmellaWWE?! EXCLUSIVE: @NiaJaxWWE and the #RAW #WomensChampionship were MADE for each other. Can @DanaBrookeWWE pull off the ultimate upset and capture the #RAW #WomensChampionship from @RondaRousey?! Things are about to get ROWDY. @RondaRousey defends the #RAW #WomensChampionship against @DanaBrookeWWE NEXT! Please though, let it end.